The year’s MLB baseball betting action is just getting started. Especially for the Boston Red Sox, who have yet to play a home game this season. With that in mind, what can fans expect out of the Boston Red Sox vs. Arizona Diamondbacks contest? Better yet, which time should players learning how to bet on sports take here? Let’s take a look at the odds to get an idea of where the value lies tonight. The Red Sox fly into tonight’s action sporting a disappointing 2-6 record that ranks them dead last in the AL East. With the Tampa Bay Lightning taking the lead thanks to their 5-2 record, Boston has begun to dig themselves into a hole. So far this season, Boston hasn’t looked great in either department. However, their batting has been faring better than their pitching. At the present time Boston ranks 10th in runs and 14th in batting average. However, their team ERA ranks 28th in the MLB and their 1.59 WHIP comes in as the 27th best. Considering that Arizona ranks 4th in runs, 3rd in batting average and 3rd in slugging percentage, it’s looking like it will be a long night for Boston. Nevertheless, tonight’s MLB baseball betting odds are surprisingly favoring Boston here. 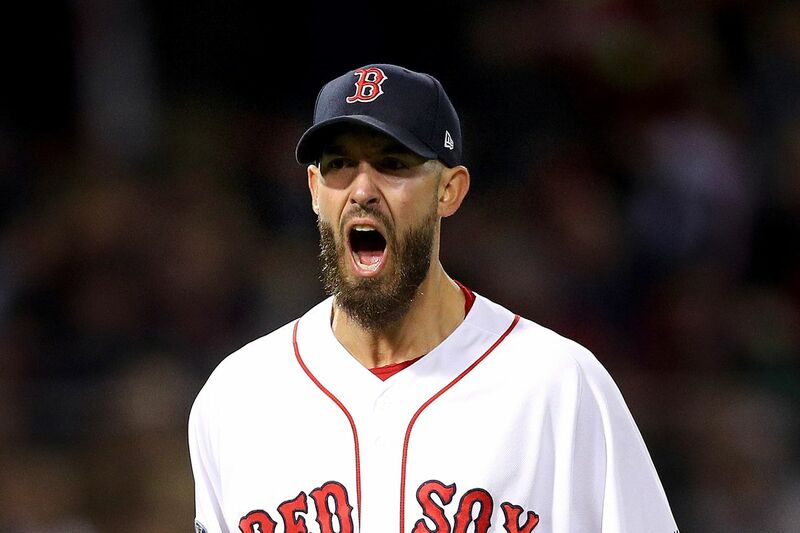 Apparently they think starting pitcher Rick Porcello, who is 0-1 this season with a 13.50 ERA, will be able to get this road win. Players to Watch: Mookie Betts (1 HR, 3 RBI, .235 BA), JD Martinez (3 HR, 8 RBI, .364 BA), and Xander Bogaerts (1 HR, 2 RBI, .280 BA). The Diamondbacks crawl into tonight’s contest sporting a meager 3-4 record. Like Boston, Arizona is struggling with its pitching this season. Currently they rank 30th in the MLB with a 7.14 ERA and 28th thanks to their team 1.71 WHIP. With that in mind, should fans bet against Arizona this Friday night? After all, they haven’t had much luck against Boston as of late. Nevertheless, Arizona’s batting has been impressive this season, something Boston can’t claim themselves. Considering that they’re playing at home, the Diamondbacks do look like a decent option, especially since they’re pegged as the underdog here. Players to Watch: Adam Jones (3 HR, 3 RBI, .364 BA), David Peralta (1 HR, 4 RBI, .455 BA), and Ketel Marte (1 HR, 6 RBI, .290 BA). So which side should legal betting fans take in this Boston Red Sox vs. Arizona Diamondbacks matchup? All things considered, this one is a bit of a tossup. Neither side has looked that great and both teams are coming off losses. Nevertheless, taking the underdog at home looks like a decent option tonight. Sign up today to make your online betting prediction!